Just as today's youngsters are growing up with Ben 10 and the Nintendo Wii, and with footballers as their idols, it wasn't that long ago that playgrounds were filled with 'cowboys and Indians', kapowing pistols at each other and heading the baddies off at the pass. Their heroes were James Coburn, Clint Eastwood, Yul Brynner and Lee Marvin; the stars of an unparalleled group of films that stylishly delivered the thrills, spills and sounds of the American Wild West into living rooms up and down the nation, via the Spaghetti Western. Sergio Leone's Westerns bore some of the hallmarks of sixties' Italian cinema (hence 'spaghetti') and the spell was completed with the memorable, swooping, panoramic scores of Ennio Morricone. Films like 'A Fistful of Dollars' and 'The Good, the Bad and the Ugly' cemented Leone's reputation as an auteur and stirred strong feelings of manly, cowboy love for the genre that lives on today. 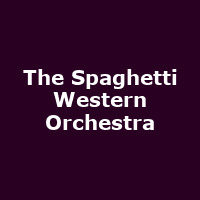 The Spaghetti Western Orchestra is a quintet of musicians that deploy up to a hundred instruments to perform some of Morricone's classic themes, supplementing the performances with Western sound effects and no little humour. The Orchestra is very popular; its reputation enhanced by a recent performance at the Royal Albert Hall as part of the BBC Proms. First formed in 2004, the current show was devised in 2007 and has toured the world, playing to full houses and thrilling audiences from Sydney to Montreal. The Spaghetti Western Orchestra is embarking on a UK and Ireland tour in early 2012. Kicking off at the Theatre Royal Brighton on 7th February, the tour heads to Oxford, York, Salford, Dublin, Cardiff, Liverpool, Glasgow and many more, before the final show of the run in Inverness on 17th March 2012. Ahead of the tour, there are also a handful of dates in January at London's Southbank Centre, beginning on 5th January. We have tickets available now for most venues, priced generally £16 - £25 and around €25 for Ireland dates. Note also that some venues may offer more than one performance a day. As yet, no dates have been announced for Tombstone or the OK Corral, but there's still time.